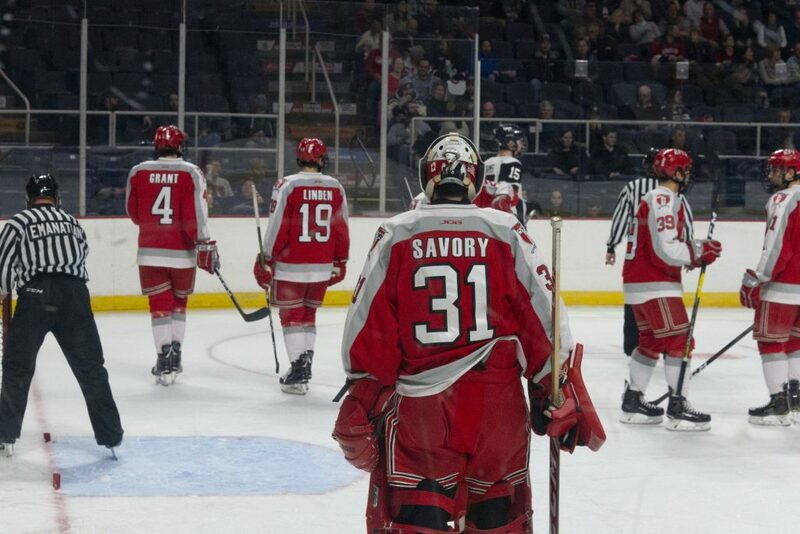 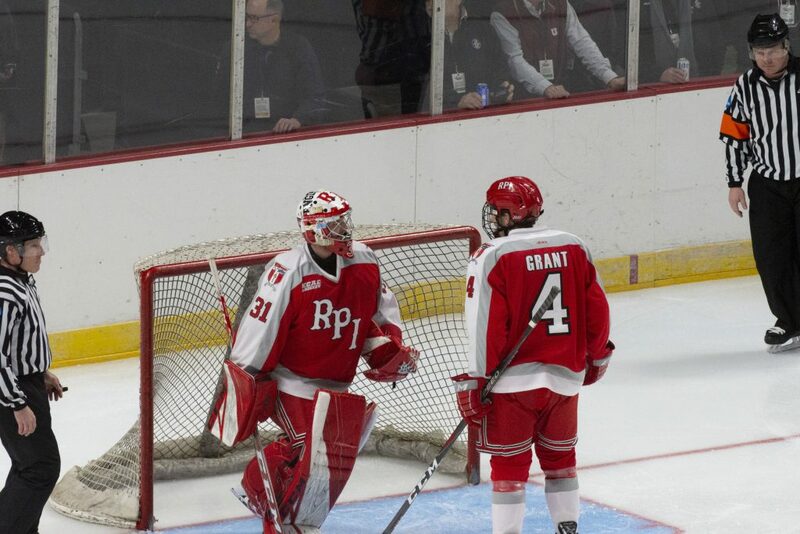 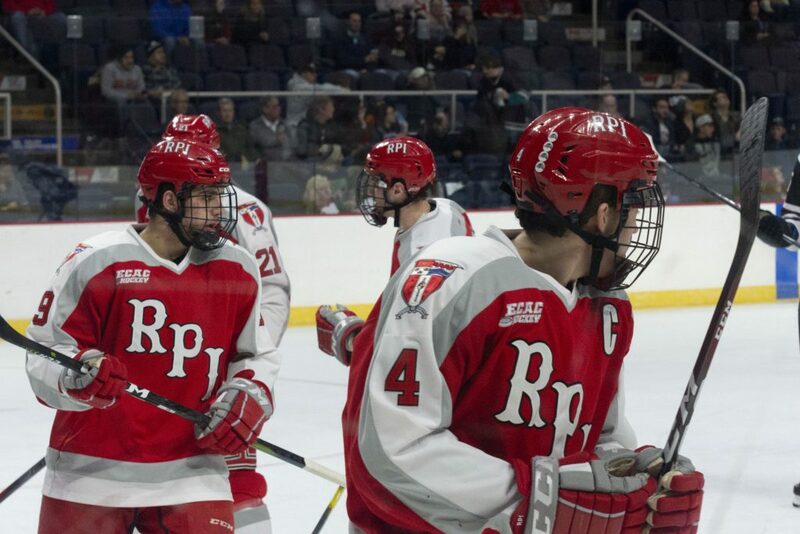 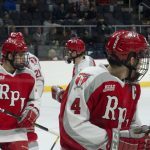 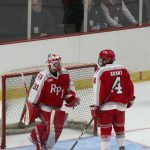 RPI HOCKEY STANDS while announcing the starting line up for the Mayor's Cup game. 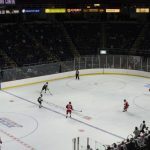 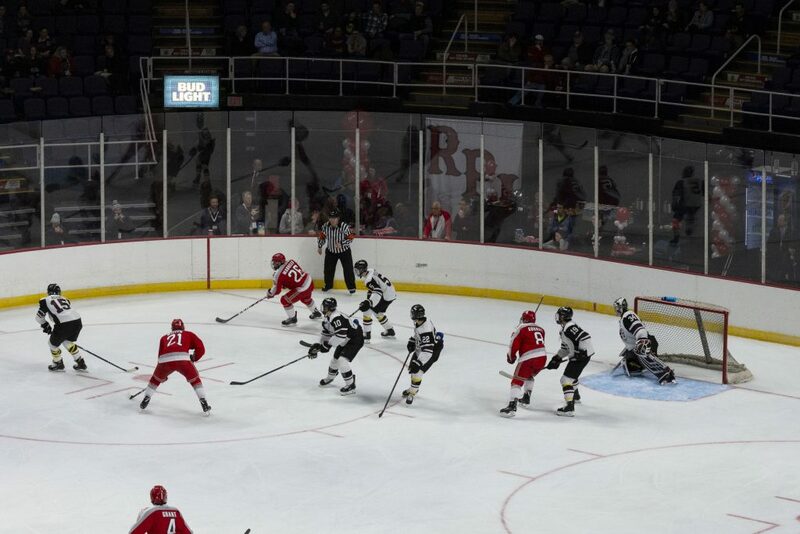 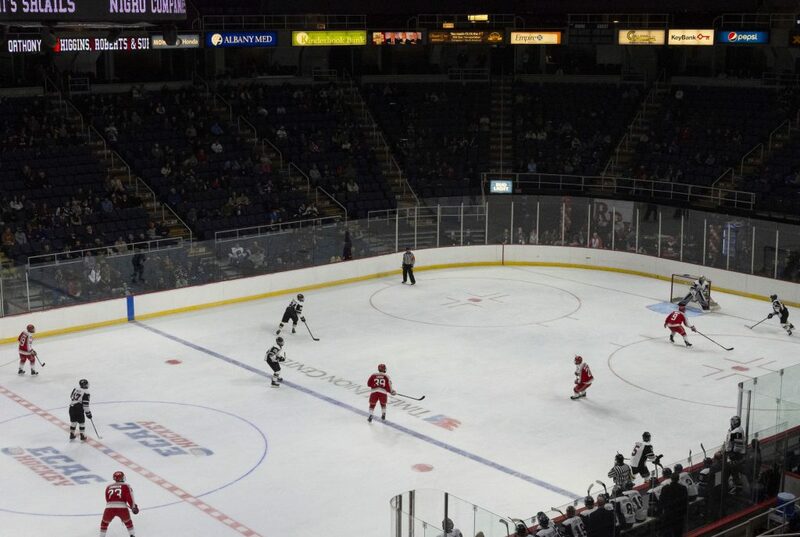 This year’s annual Mayor’s Cup hockey game made history as the first-ever Mayor’s Cup to be won in a shootout on January 29. 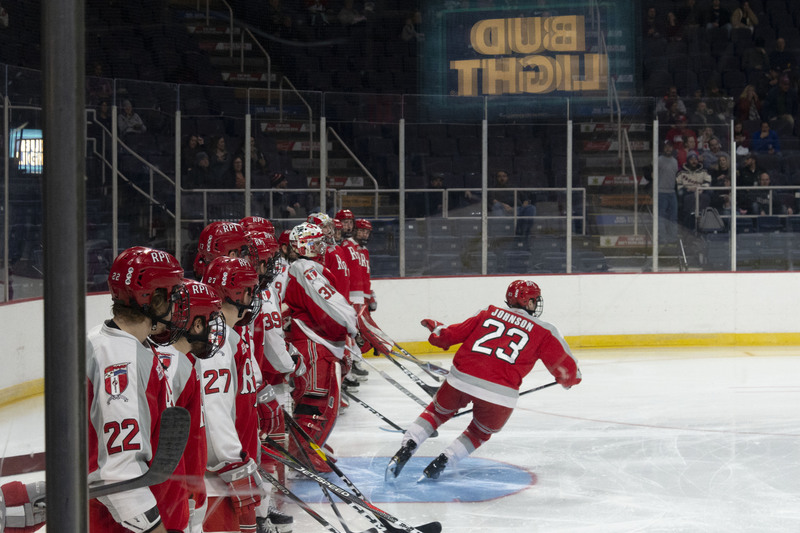 Students and alumni gathered to celebrate the Capitol District tradition at the Times Union Center in Albany, where staff and alumni were handing out cookies, towels, and other gifts for attendees. 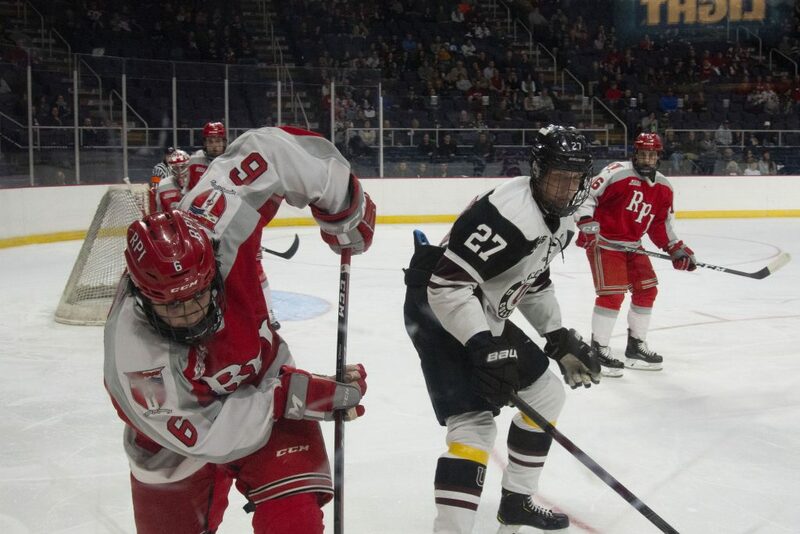 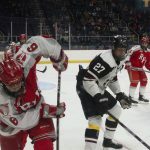 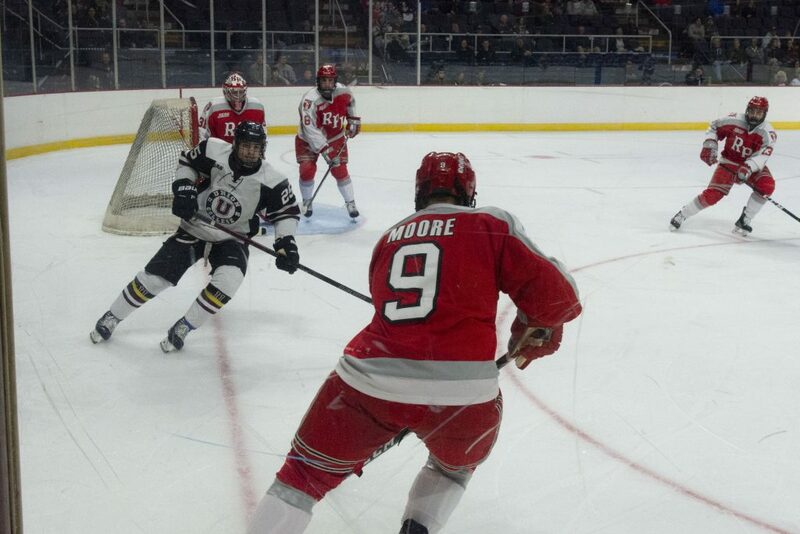 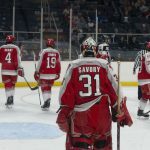 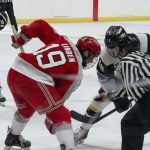 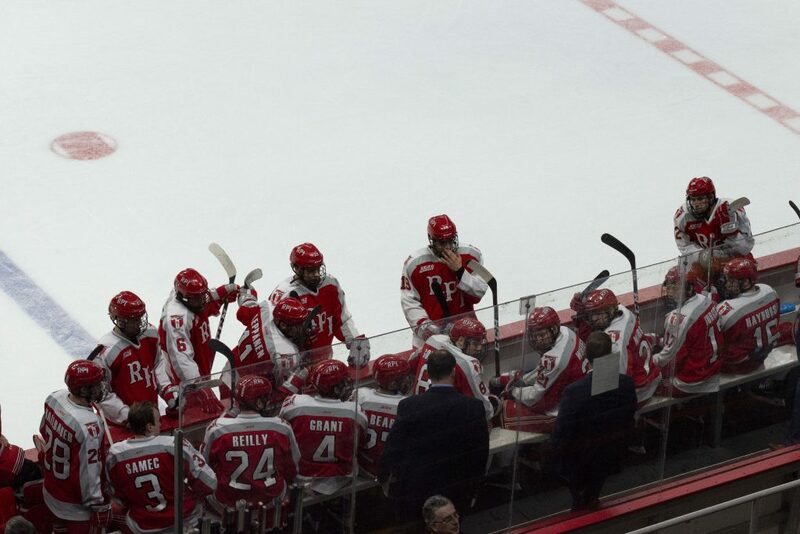 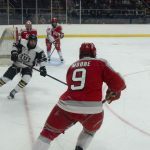 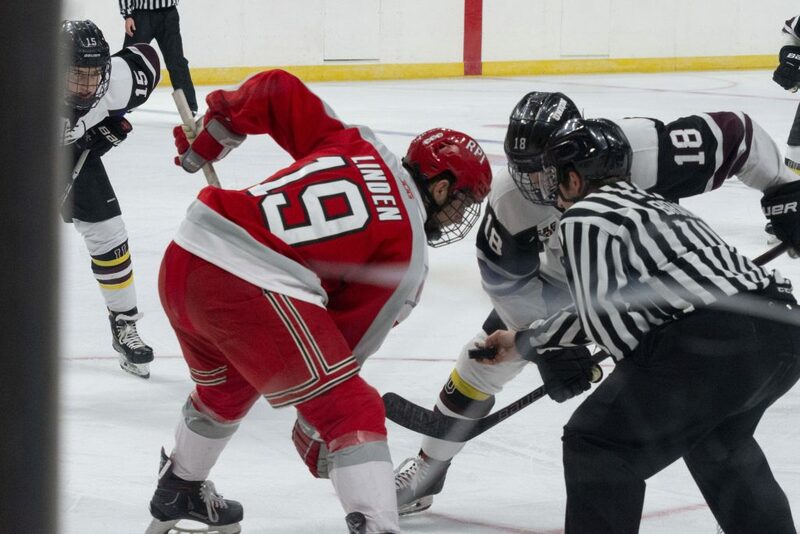 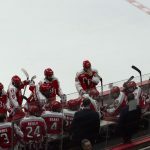 The Engineers lost 2-3 to Union College in a six round shootout after holding a 0-0 score for the first three quarters and two rounds of overtime. 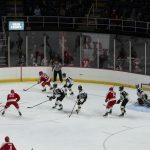 Though Union took the win, Rensselaer held up a good fight: goalie Owen Savory ’22 made an impressive 43 stops throughout the game, and players Kyle Hallbauer ’22 and Shane Bear ’20 scored in the shootout.